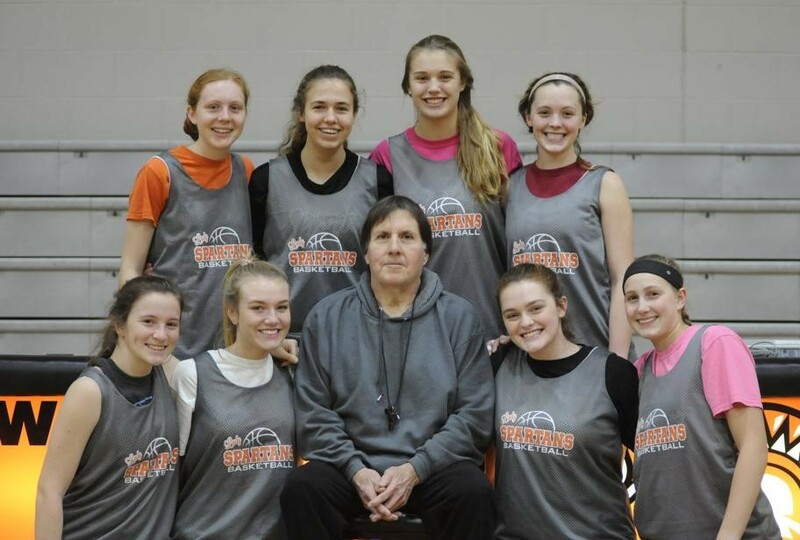 Tim Gabbard is in his 39th season coaching the Waynesville High School girls basketball team. Key members of the unbeaten Spartans are, front (left) Hannah Gill, Carli Brown, Gabbard, Kenzie Purkey and Leah Butterbaugh. Back (left) Kenna Harvey, Lynzie Hartshorn, Marcella Sizer and Rachel Murray. 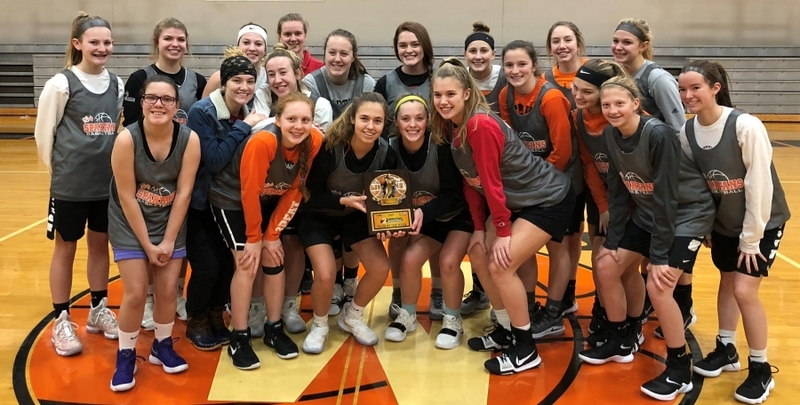 UNBEATEN WAYNESVILLE GIRLS BASKETBALL FOLLOWS ITS VETERAN LEADER! Click on attached article from the Dayton Daily News. The Varsity Girls Basketball team is 15-0! Congratulations Coach Gabbard and Spartan Ladies! 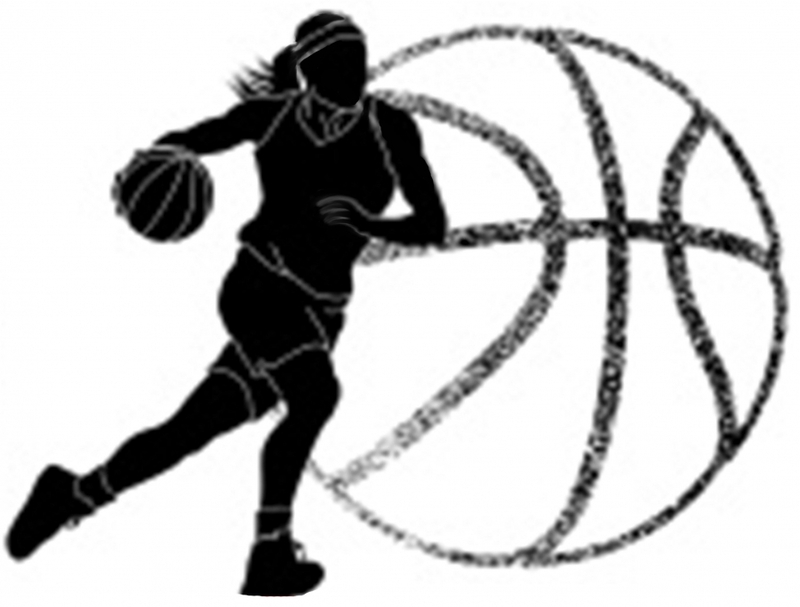 The JV/Varsity Girls basketball games originally scheduled on Jan. 14th were rescheduled for Monday, January 21st. Congratulations to the Lady Spartans basketball team for being named Channel 2's Team of the Week!! Presentation of the award will be at 3:00pm Wednesday. The ladies defeated Dixie on Thursday night by a score of 71 to 17. The team was led by Rachel Murray with 32 points and 8 three pointers to set a new school record. Marcella Sizer had 18pts 10 rebounds and 10 steals setting a school record with 10 steals. Juniors Kenzie Purkey and Carli Brown are both starting and contributing big time for the team. Devin Phillips is the other Junior. Leah Butterbaugh is our 1st player off the bench and can play any position which makes her very valuable to the team. Hannah Gill, Lydia Anderson ,Eliana Grayson( out with a knee problem) and the lone freshmen on Varsity is Emma Whitaker. The team will be playing at Carlisle on Saturday at noon. There is no JV game that day.